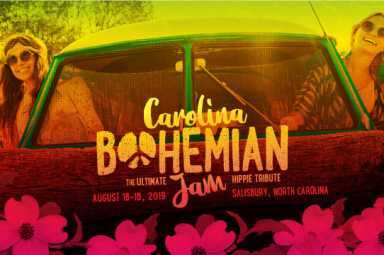 This must-see festival is the Carolinas' celebration to commemorate the era of music that would influence generations to come. 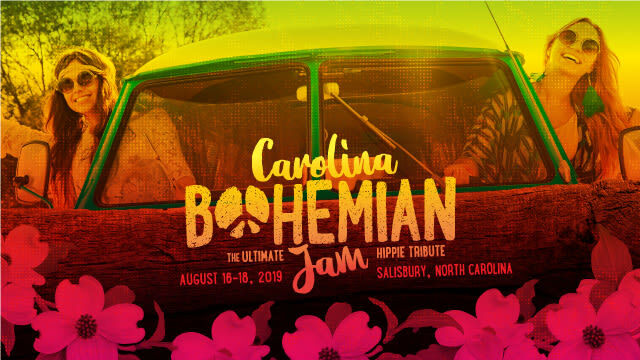 Don't miss the most costmic and groovy event of the year at the Rowan County Fairgrounds in Salisbury, North Carolina. Join us for live music on multiple stages featuring tribute bands from the 1960s and 1970s, such as The Who, Credence Clearwater Revival, Jimi Hendrix, Jefferson Airplane and more. We will also feature local musicians. View the complete band lineup on our website. Check out the arts and craft vendor area during the festival, as well as our juried art exhibition, a collaboration with Waterworks Visual Arts Center. Arts and craft vendors, as well as food vendors may register for a booth on our website. Booth rates vary on size. A limited number of nonprofit booths will be available. All arts and craft vendors may only showcase and sell handmade and original pieces of work. We will not accept downline or multi-level marketing vendors at this event, only arts and craft vendors who make their own items. Vendors offering bohemian services such as intuitive readings, massage, and Reiki are also welcome. Tickets to go on sale November 23, 2018. ALL tickets must be purchased in advance. Onsite camping during the event is available. Visit our website for more information and pricing. Sponsor opportunities are available for your business or organization. Direct message us to request a sponsor packet. Deadline to confirm your sponsorship is May 1, 2019.